Idea Cellular has launched its 3G services in Delhi and Kolkata, even though the company doesn't have the 3G licenses for the respective regions. This is through an intra-circle network sharing agreement between Idea with Vodafone (which has licenses for both the metro cities) according to Telecom Talk. It also states that a reader can access Idea's 3G network from a Vodafone connection in UP (West). Just recently Vodafone itself made an Intra Circle Roaming (ICR) arrangement with Idea and Airtel to provide its subscribers in the southern state of Kerala with 3G services. Such tie-ups were bound to happen since not even a single telecom company had won the rights to all India 3G coverage. The future may see many such tie-ups between companies in order to bring their services in circles where they don't hold licenses for providing 3G services. 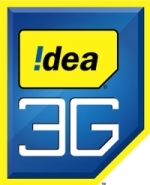 Idea is offering two additional 3G plans in Kolkata which provide the users with 12GB and 50GB of data. While all the other plans are valid for 30 days, the 12GB plan has a validity of 90 days and the 50GB plans validity is for 125 days. 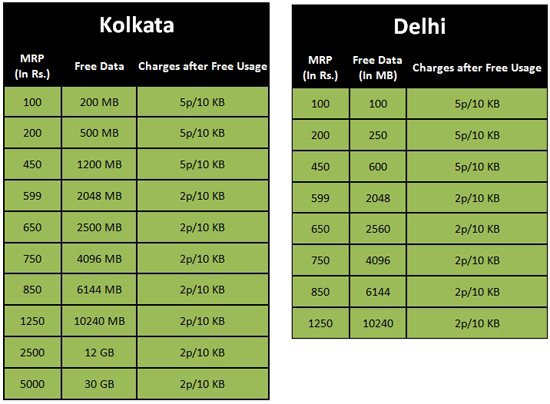 Additionally as per an offer valid till 31st July, 2011, users in Kolkata will get double the amount of data mentioned in their plans (not applicable on the 12GB and 50GB plan). In related news, acting on complaints of various consumers who have suffered due to lack of information about 3G services in their respective areas, the Telecom Regulatory Authority of India (Trai) has sent a note to all the telecoms in India to mention in their advertisements the names of the cities and states in which their 3G services are available. "The notification comes into effect immediately" said Trai chairman J.S. Sharma according to Livemint. TechCircle.in had recently reported about one such fiasco between Vodafone and one of its customers in Mumbai, which led to the company first sending and then retracting a legal notice to the customer.